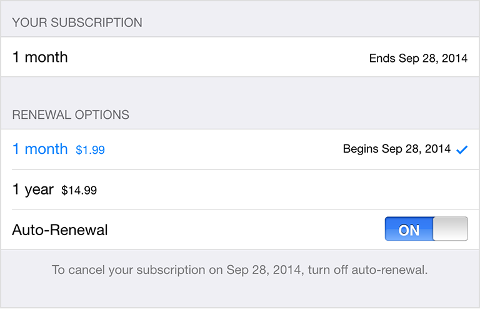 By default, your subscriptions will auto-renew unless turned off at least 24 hours before the auto-renewal is due. From your device's Home screen, tap "App Store". Tap "Featured" from the menu at the bottom. Scroll to the bottom of the page and tap your "Apple ID" in the left corner. If you don't see your Apple ID, tap "Sign In" and enter your information. Then scroll back to the bottom of the page and tap your "Apple ID". On the Account Settings screen, scroll down and tap "Manage App Subscriptions". Use the options to manage your subscription. 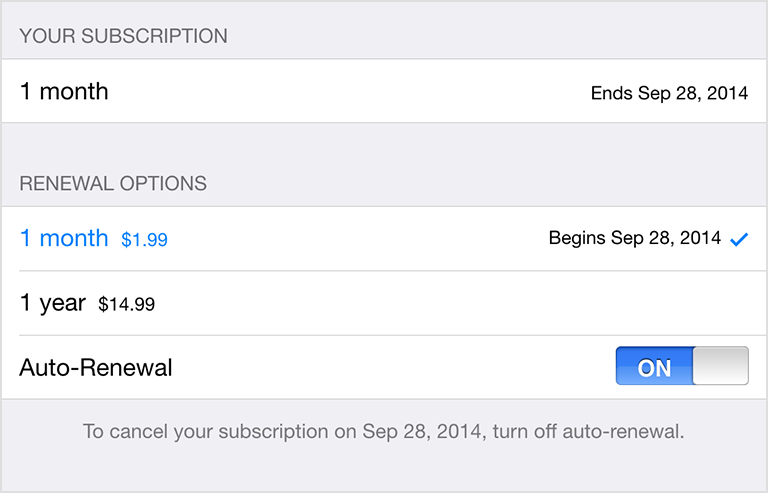 You can choose a different subscription period, or "turn off Auto-Renewal".